A container of old spent nuclear fuel rods weighing several tons falls from a crane and, thanks to a defective weld, splits open, spilling a stew of radioactivity onto a dock at Andreyeva Bay, one of Russia’s most sensitive Cold War legacy sites located mere kilometers from the Norwegian border. Radiation sensors aboard the Rossita, the ship onto which the container was being loaded, wail their alarm as contamination creeps across the dock and into the waters below. Two technicians are injured and need immediate medical attention. The culprit for the accident: an avalanche of rocks sloughing off a nearby cliff, sending a wave crashing into the dock, causing the crane’s gears to spin out while they wrestle with their swaying nuclear load. It’s the sort of thing that could happen at Andreyeva Bay, where technicians are now cleaning up 22,000 spent nuclear submarine fuel rods that have accrued there since the early 1960s. But fortunately it didn’t. It was all part of a drill, which was conducted earlier this month while officials from Rosatom, Russia’s state nuclear corporation, and Norwegian Radiation Safety Authority looked on. And according to both sides, the drill came off without a hitch. “Personally I would give the exercise highest marks,” said Inger Eikelmann, one of the Norwegian specialists who were in attendence. He could well be right. 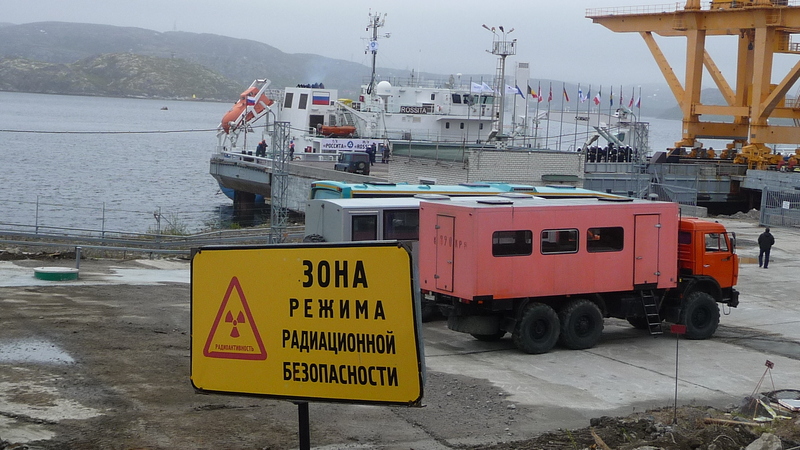 Ever since Russian technicians began the delicate yet high-profile and intensely observed process of removing Andreyeva Bay’s decade’s old radioactive hazards, they’ve been conducting these drills regularly. For more than 50 years, Andreyeva Bay has been one of Arctic Russia’s most vexing nuclear graveyards ­– and the stuff of nightmares for its Scandinavian neighbors. Christened as a refuelling base in the 1960s, Andreyeva Bay acted as a service station to the more than 200 nuclear submarines that the Soviet Union sent to prowl the waters of the Atlantic. Over those years the used fuel from these subs piled up and the problems began. Andreyeva Bay’s fuel storage tanks became overloaded, and in some cases radioactive waste was being stored in the open air. Cracks in storage pools made worse by the hard Arctic freeze threatened to contaminate the Barents Sea. At one point, experts even feared Andreyeva Bay’s radioactive morgue might touch off an uncontrolled nuclear chain reaction. In the 1990s Bellona began sounding the alarm over the state of Andreyeva Bay. But the government in Moscow didn’t always appreciate the attention. Smarting from the disintegration of its empire in 1991 and the political and economic chaos that followed, the Kremlin was loath to admit its Cold War nuclear armada had now become its environmental Achilles heel. Still, Bellona persisted. The publication of several of its reports on Russia’s nuclear woes drew the rapt attention European governments, to whom the lurking dangers were a post-Soviet wake up call. Together, they channeled millions of dollars to Moscow to both mitigate the dangers at Andreyeva Bay – and, as of last year, being to remove them all together. Now that this process is underway, there are other dangers to attend to – which was precisely the purpose for this month’s safety drill. Potential radiological accidents require the coordination of a vast array of emergency first responders, bio-medical services, and hospital emergency rooms. On top of that, the apparatus at Rosatom has to operate in such a way that the Norwegians receive accurate, up-to-date information about any potential disasters looming off its northern borders. By and large, said observers of the drill, this complex clockwork functioned smoothly. But, according to Oleg Minin, a representative of Russia’s state health services noted on glaring omission. 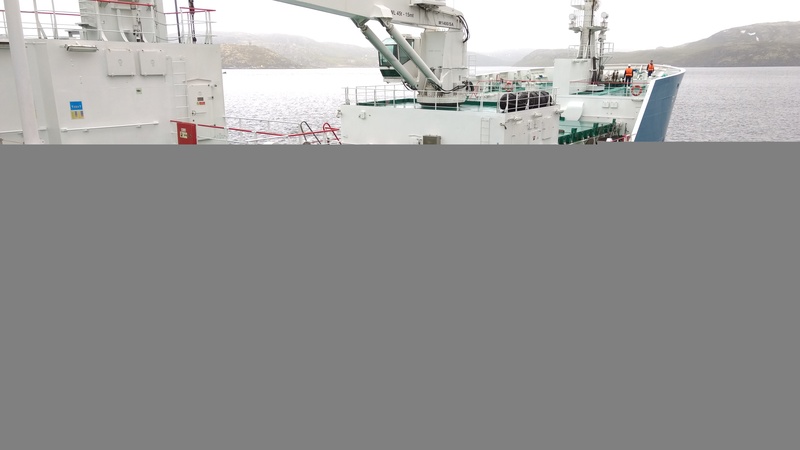 He said that Murmansk is currently lacking in a specialized facility to treat victims of radiological incidents – which would have left the two pretend victims of the drill at Andreyeva Bay in a sticky spot. The nearest hospitals with specialized facilities for radiation victims, said Minin are located in Moscow, implying that the two unfortunates in this month’s safety drill would have had a long flight before they received treatment for their injuries. 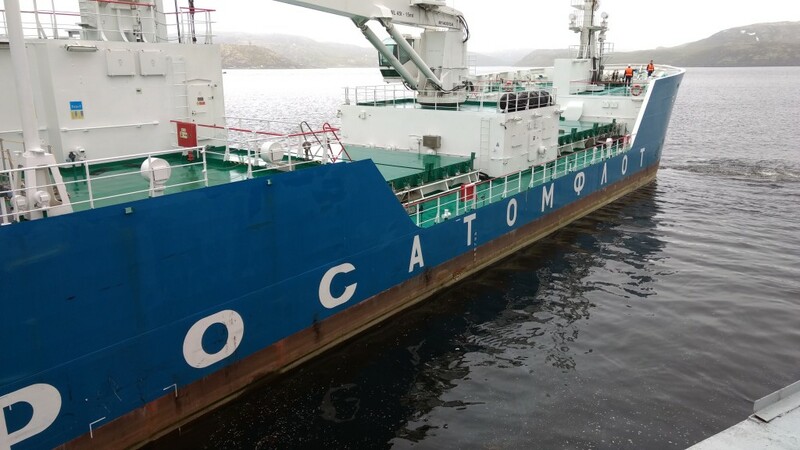 To prevent such an outcome in a real life radiological accident, Minin suggested that Rosatom develop such a facility in Murmansk, which is only kilometers from Andreyeva Bay. However, this issue – much like the Andreyeva Bay cleanup itself – is largely an issue of funding, which Rosatom would have to earmark for such a purpose. So far, it hasn’t.